If you haven’t heard the news yet, here is a brief update. The multi-faceted media company, Essence Communications Inc. is fully black owned again after nearly two decades!! 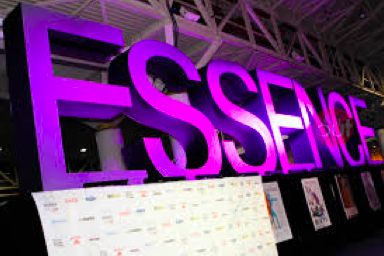 Dennis says he plans on keeping the same, entirely black, all female executive team currently at ESSENCE including Michelle Ebanks, President of Essence Communications. “The strategic vision and leadership that Michelle has provided to ESSENCE over the years have been exemplary, and we are thrilled to work with her and her talented team to provide the necessary resources and support to continue to grow the engagement and influence of the ESSENCE brand and transform this business,” said Richelieu Dennis. The executive team at Essence will have co-ownership in the business. According to Essence.com, and Time Inc’s. President & CEO Rich Battista, Michelle’s leadership, has advanced Time’s business. "The Essence team has extended the brand’s reach and influence across multiple platforms, solidifying its position as the premier destination for African-American women serving an audience of 16.3 million," Battista said. The executive team at ESSENCE deserves to be on a cover of a magazine for a change. They work hard to maintain the essence of, what ESSENCE is; they are the essence of, what ESSENCE is!!! We are so excited for Essence and what more they have to come!! Congratulations! !